Appearance (0-20): Generally when looking at an Opus X, it is under a glass case or behind the counter. The first thing you notice is the incredibly intricate band. There is a great amount of embossing and detail work, using the colors or red and gold to complement each other. It really is an eye-catching band, and gives you a great feeling about the cigar to come. There is also a cigar wrap, which is about ¾ the length of the cigar. Pulling off the cedar tube reveals a lighter brown wrapper, with no physical flaws to speak of. I’ve had this stick aging for over a year now, and am pretty excited to light it up. Construction (0-20): Upon inspection, everything felt pretty solid. No soft spots, odd wrapper seams, or any water marks or veins on the wrapper leaf. Upon lighting, everything started off smooth sailing. The draw was very nice, and the ash gave off a bright white color. 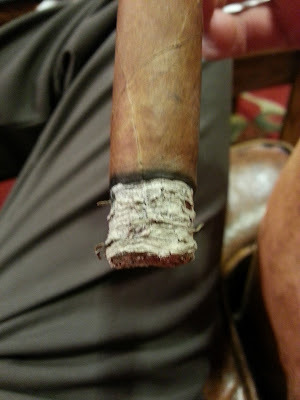 The ash also held on fairly well, except when the burn was very uneven. It corrected itself on occasion, but required multiple touch-ups throughout the smoke. Even worse, was that the cigar completely went out on two separate occasions. 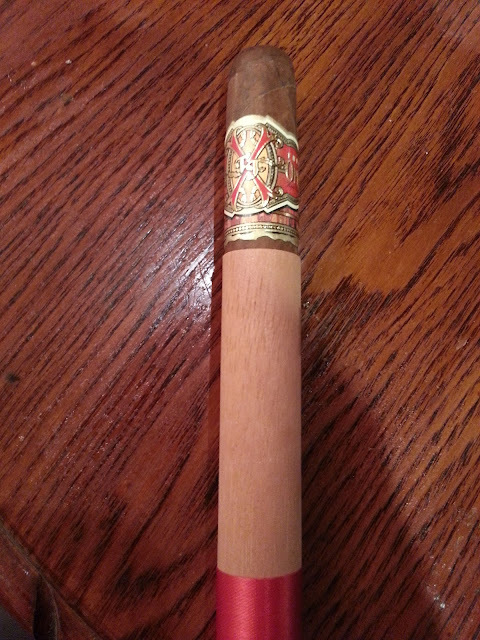 Being my first Opus X, this was a huge let down. Touching-up and re-lighting a cigar is something that shouldn’t have to be done during your experience. Hopefully this was an anomaly for this stick, but definitely disappointed. Strength (0-20): While most of the cigar sits in the medium range, it does pick up some intensity. Depending on your smoking experience, you will find this in the range of medium or medium-full. I think it was well done, and well balanced with the flavors incorporated. Flavor (0-20): The flavor was super smooth, even right off of the initial light which can sometimes be harsh. I encountered small bits of spice, but the overall flavor was sweet cedar and cocoa. 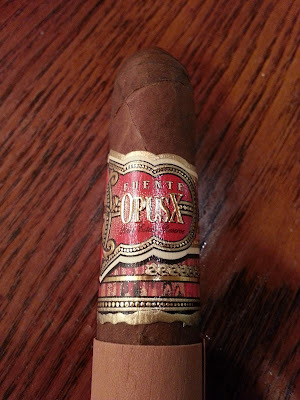 It filtered in some great creaminess that gave the Opus its smooth characteristic. The second half of the cigar introduced some pepper, which was a welcome balance to the sweetness. 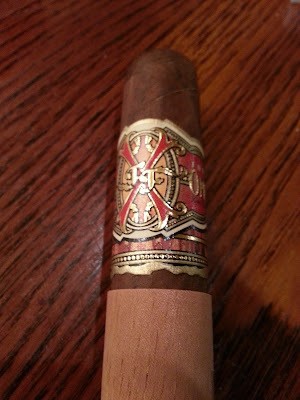 Overall, the whole stick was nicely balanced, flavorful, and smooth. Well done. 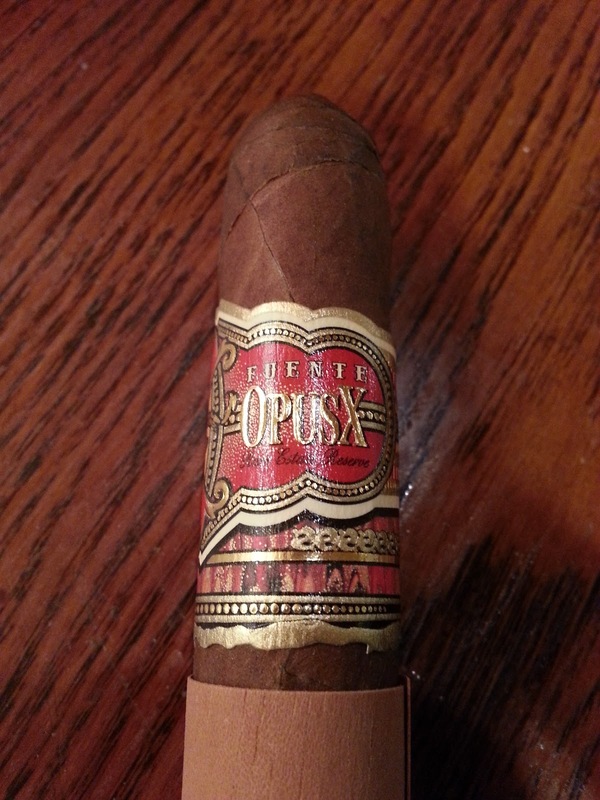 Value (0-20): There is a lot of hype around Opus X cigars, and some people live by them. Unfortunately for me, my first experience was good and bad. For around $15.00, I think the price is actually a fair value. Setting aside the fact the burn was absolutely horrendous; everything else seemed to work well. I am wary to spend the money on another one, but I may in the future just to revisit the burn issues that I had. Overall (0-100): After waiting a year to smoke this cigar and having a lot of hype surrounding it, I have mixed feelings for sure. Just about every category was done nicely, but I keep coming back to the burn factor. 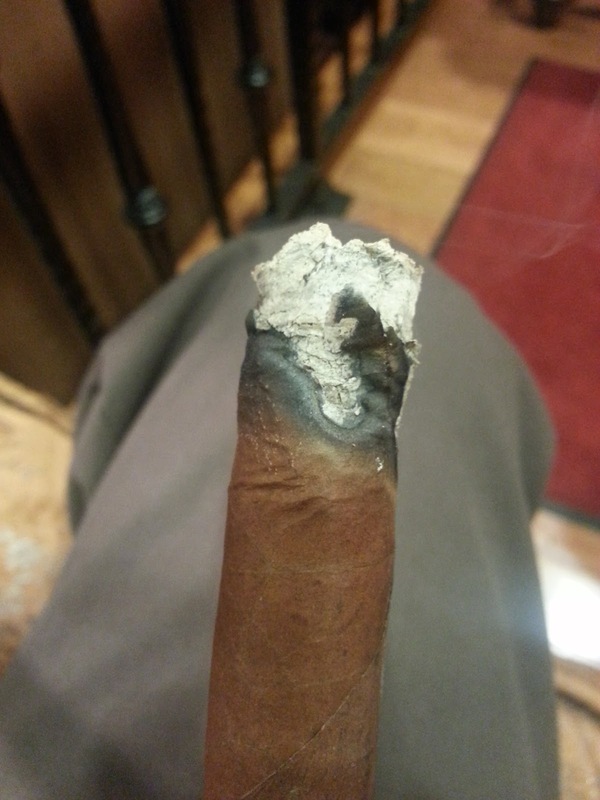 While there was no issues with the draw of a plugged stick, which can 100% ruin a cigar, the burn did hamper me from sitting back and relaxing the whole time. From a flavor standpoint, the profile was nicely balanced and flavorful. Let’s hope the next cigar I purchase from Fuente has better construction. You rated a cigar with terrible burn issues a 16 out of 20 on construction? ?